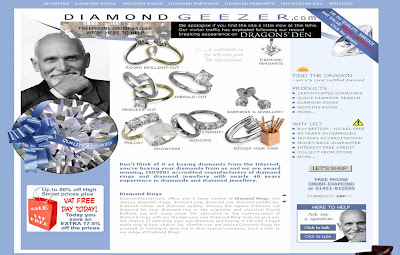 Diamond Geezer is an online diamond site that applied for Dragon's Den funding this week. The Dragon's questioned Google rankings and there was discussion around volume of indexed pages. Whilst this is noteworthy in itself, it is more interesting to look at how the appearance on Dragons Den drove online traffic. I have written about anecdotal effects of TV on web traffic before, but the Diamond Geezer / Dragons Den example is the best yet! Alexa shows that diamondgeezer.com has experienced an 11% increase in traffic for the week, but other, less formal sources are more revealing. So 3750 additional visits generated to the wrong website after a namesake appears on Dragons Den?! This is a good demonstration of how people use Google as an intermediary - even when presented with the actual web address consumers type it into the Google search box rather than the browser bar. 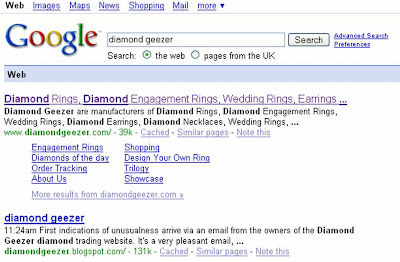 The Diamond Geezer example is also a great demonstration of how people use the web whilst watching TV. I assume that additional traffic has continued as people watch re-runs on the BBC iPlayer? No arguing with your case Nick. I think it's the impact of NOT targeting (and how that seeds networked communication). But TV broadcast is clearly far from necessary in most internet success stories. Here's an example illustrating the other side, perhaps? Trouble is, it's really hard for us to know which kind of seeding is likely to be most effective. I think the fact that businesses like diamondgeezer.com even exist is testamount to the way the world has changed. The traditional model of a consumer being pushed to buy something by a TV / press ad is not redundant per se, but is limited unless its part of a wider campaign. I agree that the scale of the opportunities the internet offers up with Google, social media and word of mouth mean that there can be successful campaigns outside of traditional media. However I think you have to try and adhere to some sort of targeting. Whilst network effects and consumer action may (or may not) spread your message in unexpected ways, I still think you need a starting point. The key though is to constantly evaluate progress and optimise targeting accordingly. As with any campaign in any channel it therefore all comes down to the ability to test effectiveness and measure success? Buzz metrics, impression volume, number of views etc are all helpful but in social media circles the key thing isn't eyeballs it's perception and engagement that counts - and I guess that's the thing everyone's scratching their head about? 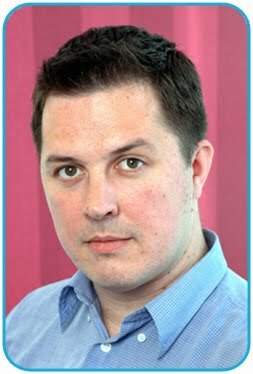 This link (e-consultancy.co.uk - http://tinyurl.com/64jjrf) contains a new review in line with some of your comments. Additionally the comments include a statement from the founder Clive Billing. Yes, the additional visitors have continued since the terrestrial broadcast, probably thanks to the iPlayer and those who recorded the programme. There was an interesting piece back in February of this year giving an insight into the rise of "double dipping" and dual media consumption - with stats specific to going online while watching TV as the most interesting. The survey, by Blinkx refers to US internet population but with broadband penetration and portable computing in the UK as accessible as the US, it is arguably reflective of UK Web/TV media consumption. "Fully 62% of double-dippers surf the web while watching television for content that is not related to what they're watching. And 25% of double-dippers go online for information specific to the programming they are currently viewing." Chris, Simon, thank you for the links. Thought the comment from Clive on the E-Consultancy post particularly interesting. DiamondGeezer@blogspot - thanks for dropping by! I am assuming that you had another big traffic boost tonight during the re-run? Because of this post even I got extra visits tonight! We saw a massive amount of hits as the show aired and there is a good chance that the figures would have been substantially higher but our website suffered a mini heart attack due to the sheer volume the machines had to deal with. We outsource our video hosting to Amazon and this is a huge help in keeping things up to speed in the last few days!" Is it ironic that I found this blog post after searching for "diamond geezer dragons den" on Google after seeing a re-run on the TV channel Dave?